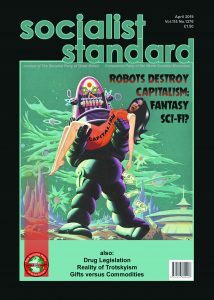 Interview with Andrew Kliman, author of a number of books on Marx’s ideas. How did you come to be interested in Marxian economics and socialism? I was 12 years old in 1968, a moment of tremendous radical ferment, and I immediately identified with all of the forces struggling for freedom. I don’t remember whether I immediately identified with socialism, too – in the environment of the time, immediately linking the two would have been rather natural – or whether that took a bit of reading and thinking. I used to argue with people about capitalism, and I’d be told, ‘you don’t understand supply and demand.’ I realized that was true, and a main reason why I decided to major in economics in college was to see if my views would survive confrontation with ‘the law of supply and demand.’ Eventually, I decided to go to graduate school in economics and focus on radical economics. My knowledge of Marx’s writings, on economics and in general, was still rather limited. I had tried to read Capital, but my eyes kept glazing over and I kept dozing off. But in my first year of graduate school, I took a year-long course that consisted of a close reading of the three volumes of Capital. It was quite a struggle, but slowly I began to understand and to be convinced. The irrationality and corrupt nature of the resistance to Marx’s ideas, even among ‘Marxist economists,’ and the sterile and non-revolutionary alternatives they offer, have strengthened my conviction. So have the Great Recession and its ‘new normal’ aftermath. I don’t think of myself as a ‘Marxist economist.’ The people who trash Marx or cannibalize his work to further their own ideas and careers have appropriated the term for themselves, and they can have it, as far as I’m concerned. In ‘The Failure of Capitalist Production’ you claim that the underlying cause of the last global economic downturn was a persistent fall in the average rate of profit which had never fully recovered since the late 1970s. Do you think the falling rate of profit is always the deciding factor in regard to economic crisis or can it be explained by other features of capitalism such as the disproportionate growth between different sectors of the economy? Clearly, the main immediate causes of the Great Recession were the bursting of the bubble in the US housing sector and the financial crisis that resulted. But pointing to these events isn’t adequate. If they were the only problems, the economy would have rebounded smartly once the US government quelled the panic; but that was five years ago, and the malaise persists. The recession, and to some extent the financial crisis, were also the product of several other, underlying conditions. A persistent fall in the rate of profit led to sluggish investment in production, which in turn led to a rising burden of debt; and the US government responded to these conditions by throwing even more debt at them. The government policies delayed the day of reckoning, but also made the crisis worse when it finally did erupt. These underlying conditions still persist for the most part, and the future of the Euro area and Chinese economies is quite uncertain, so the malaise persists as well. During the housing-sector bubble, home prices and financial activity grew faster than the rest of the economy. One can, if one wishes, call this ‘disproportionate growth between different sectors of the economy.’ In this specific sense, the financial crisis and recession can be characterized as a ‘disproportionality crisis’ (but only with regard to immediate causes, not longer-term, underlying ones). But since ‘disproportionality’ generally refers to something different – an imbalance between production of means of production and production of consumer goods and services– use of the term is liable to cause confusion. What is your attitude towards those that claim government spending and/or increasing working class consumption is a way out of the crisis? Of course, the government could borrow more, and thus provide more of a temporary boost, but there’s a definite limit to the amount by which governments, even the US government, can run up their debt before the credit market gets spooked and lenders demand so much interest in compensation that running up the debt becomes counterproductive. Even more importantly, running up the debt provides only a temporary fix. It doesn’t set off a perpetual-motion machine of economic growth. Once the stimulus money ends, the stimulus it provides ends as well – and let me emphasize that this is what standard Keynesian theory itself says. Although underconsumptionists claim that redistribution of income from wages to profits was an underlying cause of the Great Recession, that isn’t true, at least not in the US case. Between 1970 and 2007, employees’ share of net output was stable in the corporate and total-business sectors. So was the share of output that the working class could buy with its income, ie. without going deeper into debt. 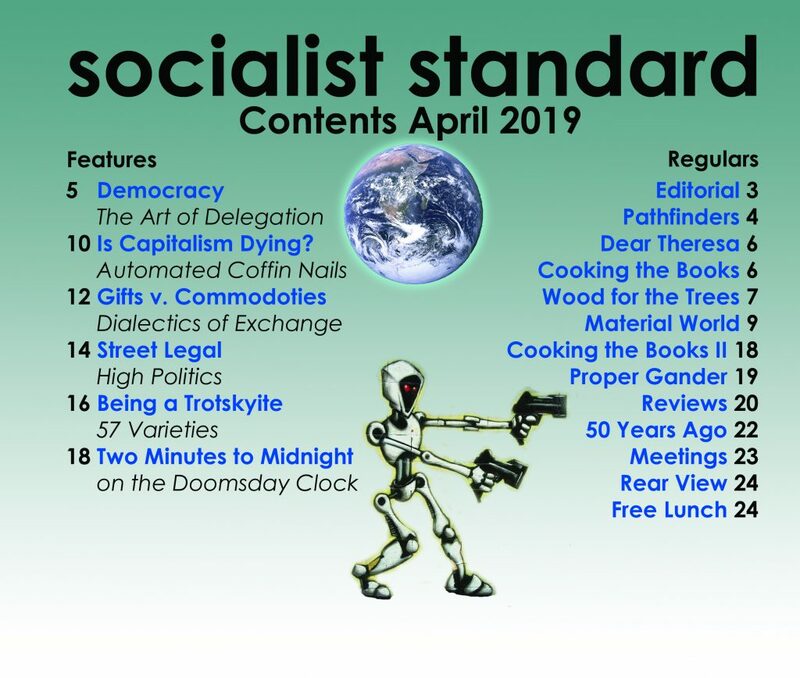 (Please see my pamphlet ‘Can Income Redistribution Rescue Capitalism?’ which you reviewed in January Socialist Standard, for data and sources). Since upward redistribution didn’t cause the crisis, it’s not plausible that downward redistribution would solve it. Moreover, any serious downward redistribution would reduce profit and thereby tend to destabilize capitalism even further. After all, profit is the fuel on which the system runs. The underconsumptionist theory of crisis denies this, it tells us that the problem is too much profit, but I think there are fatal logical flaws in that theory. I can’t go into them here, but I do so in the pamphlet and in my book. Similarly, what is your attitude towards those that claim that banking/monetary reform can improve conditions for the working class as well as preventing future crisis? Financial regulation, like regulation in general, has a very weak track record. Businesses and investors are always able to find ways around the regulations, and the new regulations that are drawn up are always designed to ‘fight the last war.’ Also, regulation itself can be a cause of financial crisis. One of the biggest financial crises to date, the collapse of the savings and loan (building society) industry in the 1970s and 1980s, was caused by very strict regulations on the interest that the savings and loans could pay and charge, together with the inability of ‘Keynesian’ policies to stem the spiraling inflation problem of the time. It’s possible to set up a government-handout agency that one calls a bank, funnel borrowed money through it, and improve conditions for the working-class in that way – temporarily and within strict limits, of course. But if we’re talking about genuine banking functions – attracting funds and lending them out –it’s not possible to turn banks into institutions that operate for the benefit of working people or that pursue public-policy objectives. The capitalist system has its own laws, economic laws that are independent of the intentions of the people who happen to be running it. State-regulated banks, and even state-run and worker-run banks, are still banks. They have to try to maximize profits, just like every other capitalist firm. If they don’t, they won’t be able to provide investors and lenders with a decent return, so the investors and lenders will go elsewhere, and the banks won’t get the funds they need to operate. They’ll fail or, at best, remain tiny, insignificant islands in the sea of profit-maximizing finance. You have made criticisms of the view expressed by Richard D Wolff (and others) that workers co-operatives are the way to socialism (or even are socialism). Could you briefly outline your position on this issue? This issue here is really the same one I just discussed. It doesn’t matter whether we’re talking about banking or some other industry. Indeed, Wolff has applied his general view to the case of banking, calling for worker-run banks which, he claims, would operate for the benefit of working people. Why? Merely because workers have different interests than regular bankers, so they would supposedly make different decisions. But the road to bankruptcy is paved with good intentions. Worker-run banks, and cooperatives within capitalism generally, would fail or remain tiny islands if they decided to sacrifice profit in order to enhance the well-being of their members or the majority of the population. Wolff just fails to deal with this problem. The only co-operatives that can survive are the ones that operate in accordance with the laws that govern capitalism. The result, as Marx put it, is that the workers in these cooperatives become ‘their own capitalist’; they end up exploiting themselves. In order to keep the prices of their products low and remain competitive, they have to keep their pay low, speed-up production, ignore workplace safety and health issues, and so on, just like every other capitalist. Let me emphasize that the above comments are just about co-operatives within capitalism and as a ‘way to socialism.’ I’m not objecting to co-operatives as a form or even the dominant form of organization of production within socialism. The assumptions of neo-classical economics have increasingly come under a lot of criticism since the financial crash of 2008. This criticism seems to have made significant inroads into the main stream yet the bulk of it comes from a behavioural economics or Keynesian /post-Keynesian viewpoint. Do you think this development can be harnessed by those seeking to promote a Marxian perspective and if so in what ways? I’ve devoted a lot of effort to fighting the suppression of Marx’s body of ideas, including the suppression of them by the Marxist and radical economists. But fighting to allow Marx’s ideas to be heard is one thing; promoting a Marxian perspective in the academic-careerist turf-battle sense is another. I’m not interested in that. I’m interested in understanding and transforming reality, and for this, openness to dialogue and to new findings and ideas – from wherever they come – is essential. I think Hyman Minsky, a post-Keynesian, had some insightful things to say about speculative and Ponzi finance. Irving Fisher’s debt-deflation theory of business cycles is also interesting. He was a neo-classicist, but some post-Keynesians have returned to his theory. And Vernon Smith and his colleagues have done what I regard as tremendously important work in behavioral economics, on the causes of asset-price bubbles. They’ve demonstrated conclusively that misinformation and lack of information isn’t the problem. I agree with you that mainstream economists are engaged in some genuine rethinking. I also agree that Marx’s ideas don’t play any real role in that rethinking. This lack of interest in Marx isn’t due to dogmatism, but to the fact that these economists are agents of capitalism. Their job is to try to figure out how to solve the economic crisis and how to prevent future crises or at least make them less severe. So I can’t think of a thing that Marx has to offer them. His theory of capitalist crisis isn’t about the defects of any particular set of institutions or any particular form of capitalism. It’s about defects that are inherent in every form of capitalism and are inextricable from it. So I don’t think it offers anything to people trying to alter the system while keeping it intact. Many groups that have shared the Socialist Party’s definition of socialism as a classless, stateless and non-market society have insisted that the working class should abstain from parliamentary activity. The Socialist Party has always maintained that as the state only exists to preserve the position of the property owning minority and that as socialism can only come about through majority understanding and participation, the democratic process should be used in order to win control of parliament for the purposes of preventing the state machine from being used against the socialist majority and to ensure the transition from capitalism to socialism can proceed in as ordered a manner as possible. In what ways would you agree or disagree with this position? ‘Property owning minority’ is too narrow – the top bureaucrats in the USSR, China, etc. haven’t been owners in the usual sense. I do agree that the state exists to preserve the capitalist system and that socialism can only come about through majority understanding and participation. However, I simply don’t see how the rest of the sentence follows from that. Questions of logic aside, I don’t think anything can prevent the state machine from being used against the socialist majority. Governments can and will suspend our rights and ignore laws passed by parliament when push comes to shove, and they often have constitutional authority to do so. I think that what would offer the most protection against this, and the best chance for a revolution without mass bloodshed, is, first, a large majority in favor of socialism. Second, clarity about who its allies and who its enemies are – this is something that has been lacking far too often. Third, serious work to bring draftees and enlisted members of the armed forces over to the side of the people. If they decide to point their weapons in the opposite direction, that will do far more to enforce the will of the majority than parliamentary decrees can. But getting rid of the old order is only one aspect of social transformation; the other is the creation of new social relations, rooted in a new mode of production that’s not subject to the economic laws that govern capitalism. No amount of political will, whether expressed by parliamentary or extra-parliamentary means, can bring this about. It’s not a matter of issuing directives, passing laws, or whatever. Unless and until a new mode of production is established that uproots the economic laws that govern capitalism, these laws will continue to nullify parliamentary laws, decisions of workers’ councils, and what have you.